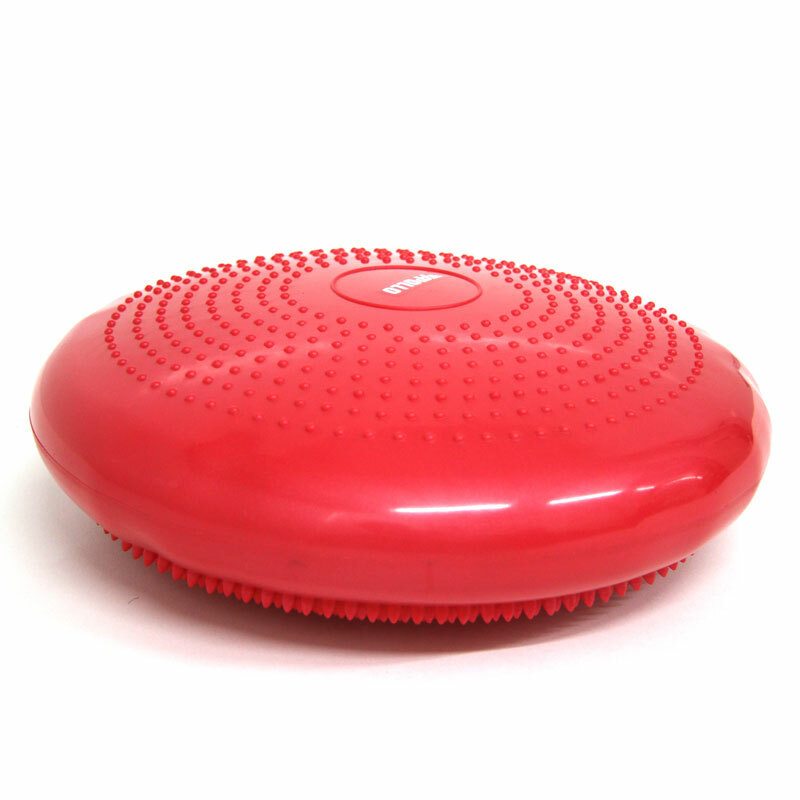 The Apollo Pro Balance Cushion is extremely versatile, compact and portable. 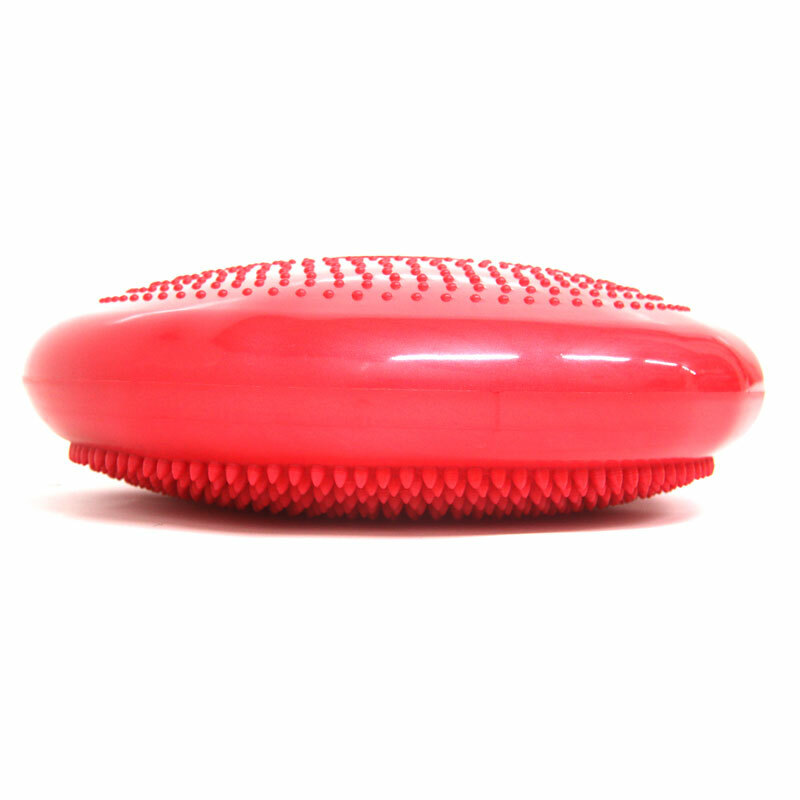 The disc shaped cushion is excellent for a wide variety of balance, strengthening and rehabilitation exercises. It's also great to relieve back pain and correct posture when sitting. Alternately standing on the Balance Cushion will increase core stability and balance. Please note the cushion will require inflating on receipt. 5 out of 5 "How is your pro balance cushion?" "Bloody hard work!!!" I yell back! It's a small, reasonably priced bit of kit that you'll love and loathe at the same time. Any floor exercise is doubled in effort and reward for adding this little _ _ _ _ in! Sit ups? Treble hardship whilst trying to "sit" on this. Takes a press up to another level. Excellent, highly recommended!!! 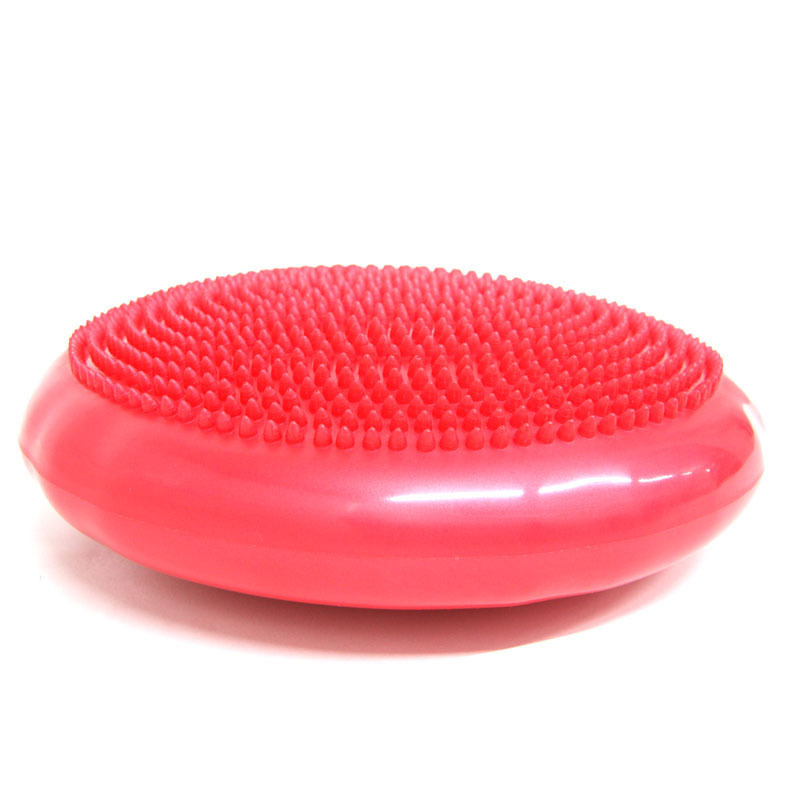 Used a balance cushion like this in a back reconditioning class and felt it helped with my core strength and balance. Decided to purchase one but didn't want to pay too much and this one from Newitts fitted the bill. It works well and seems quite strong so should last well. Prompt service, shame it didn't come with instructions or a pump. Great product and very cheap it's working my sprained ankle very well , every night I go on it and it's working a treat . 4 out of 5 Keeps my son in place! I purchased this cushion because my son uses one in school because he is a proper fidget bum! He has aspergers and sensory processing disorder and requires physical contact. Rather than keep touching his class mates he sits on the cushion which wobbles with him. We wanted one for home so he sits still when eating his dinner. It works. I have purchased 20 of these at the moment as a Bio Mechanical corrective specialist i found these so helpful in maintaining posture So i purchased for my clients Main use SITTING on whilst at desk Great results. Been using one of these at the gym for several years to cope with minor Rugby related stresses and this is just as good for quality. Really helps with minor rehabilitation for lower limbs and also for core strength. And such a good price I bought a second to keep at work ! This does exactly what it says on the tin - a no-nonsense balance cushion. What would improve it however is a set of instructions - even if only to suggest an optimal inflation size/pressure for different uses! I bought this to sit on at work and create some instability for my back to work on. It's done the job perfectly but don't sit on it too long!